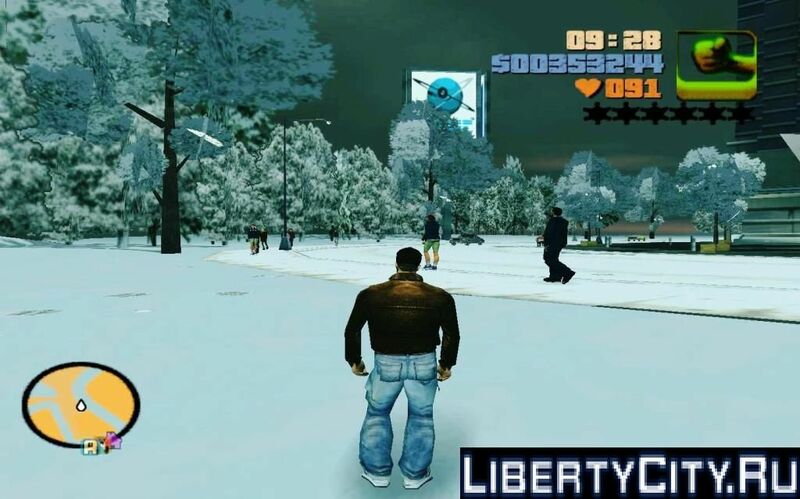 Now in GTA 3 - winter! More than a thousand changed textures, the changed parameters of the machines (yes, now it's stronger! ), The winter period of changing day and night and the like!